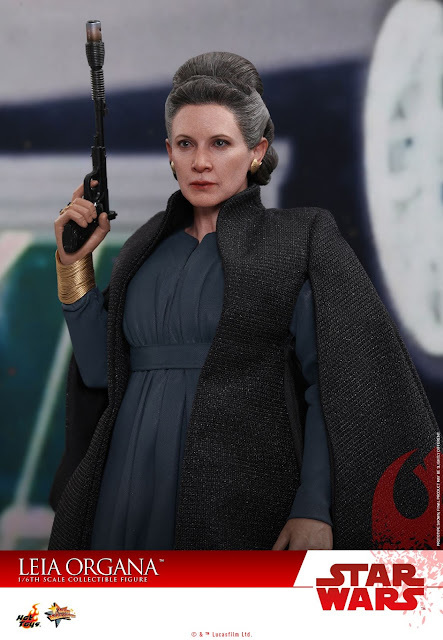 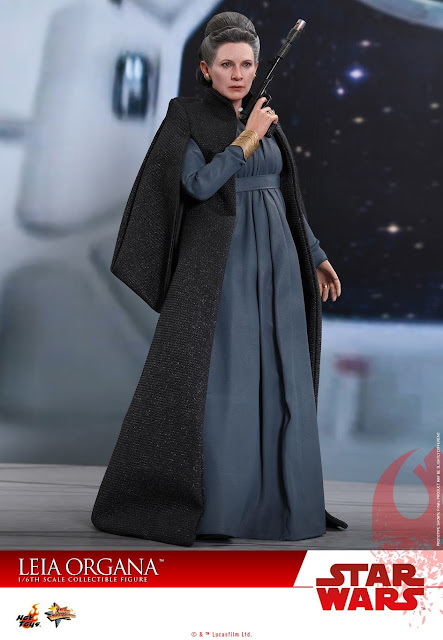 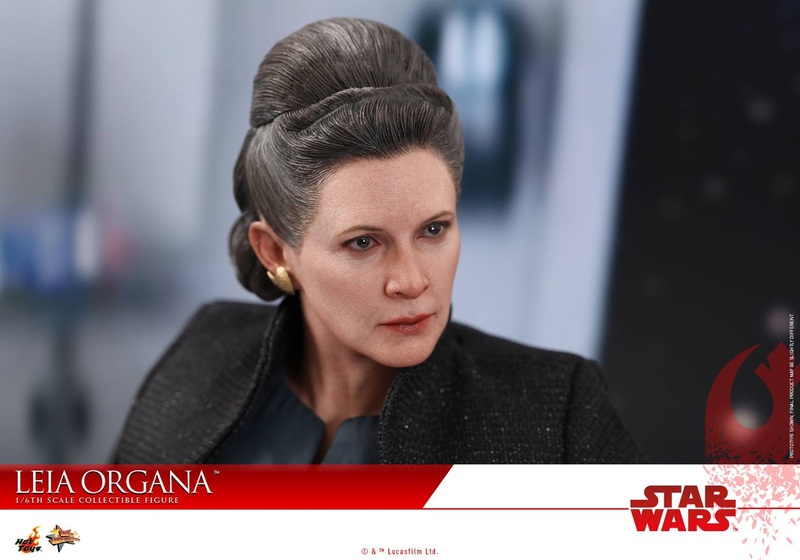 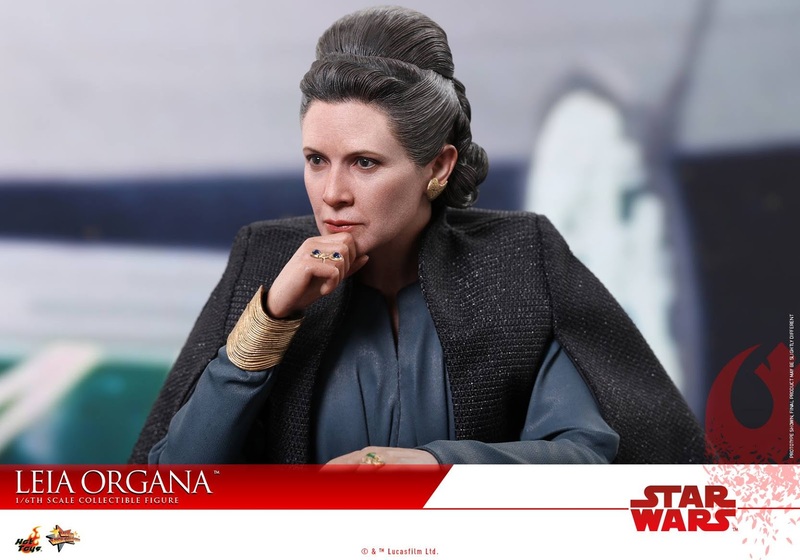 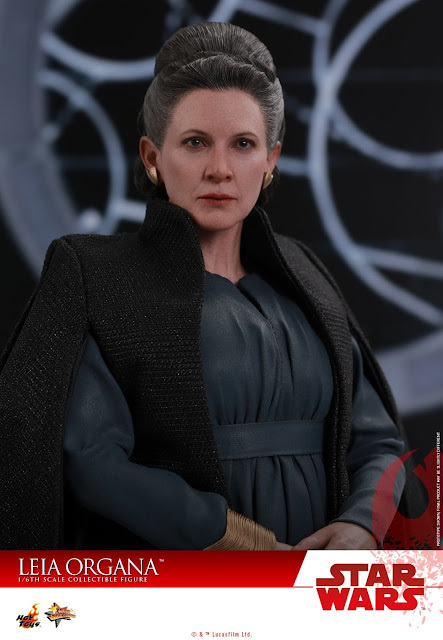 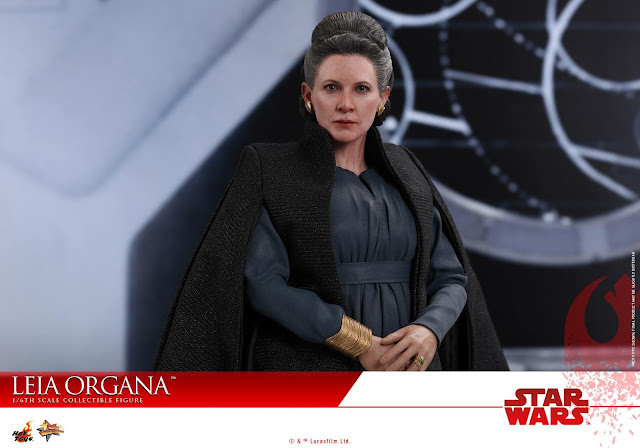 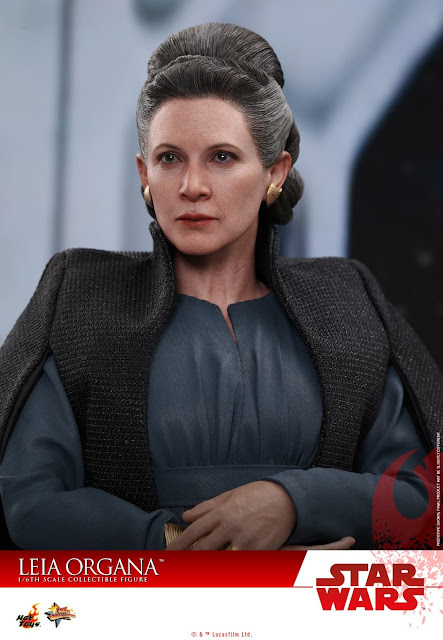 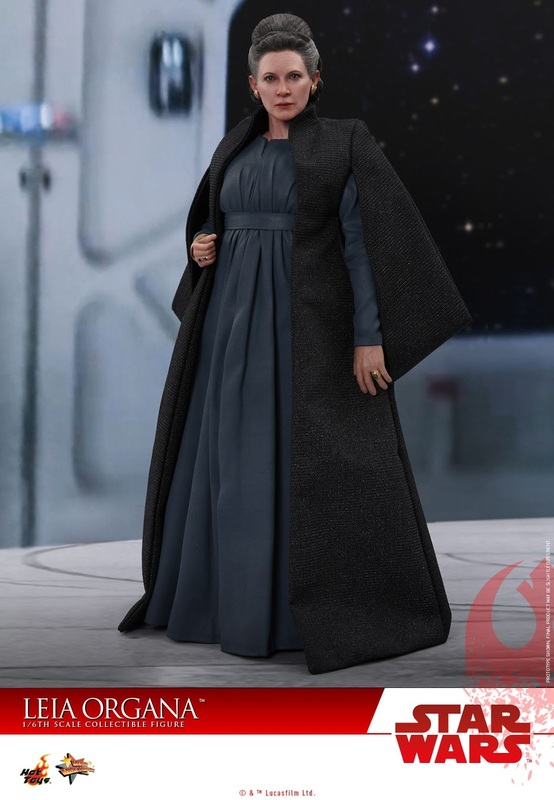 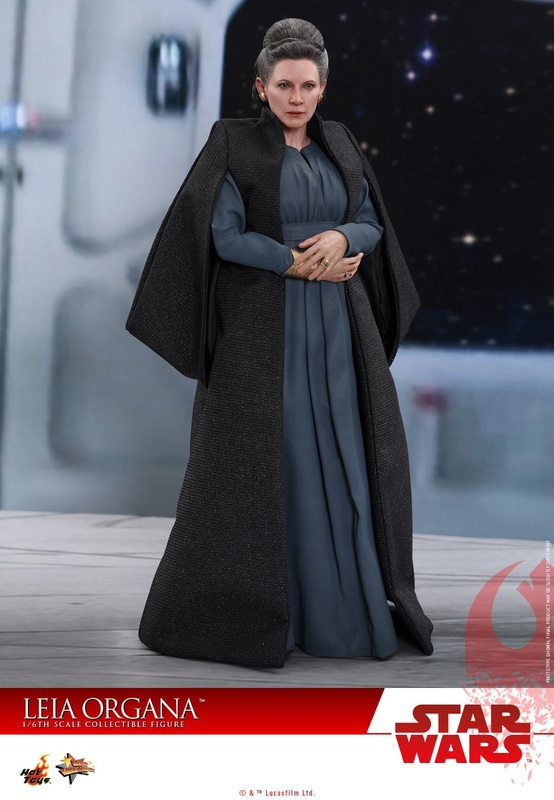 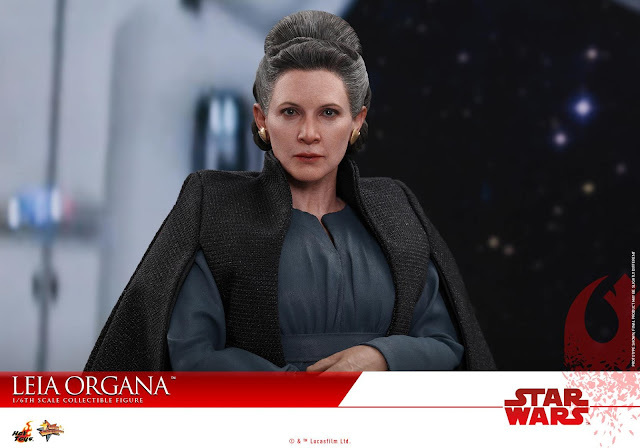 Hot Toys has released images and full details for their upcoming Star Wars: The Last Jedi – General Leia Organa 1/6 Scale Figure. It will feature 28 points of articulation and stand 11" tall, and will include interchangeable hands, a blaster pistol, some removable jewelry, and a figure stand. 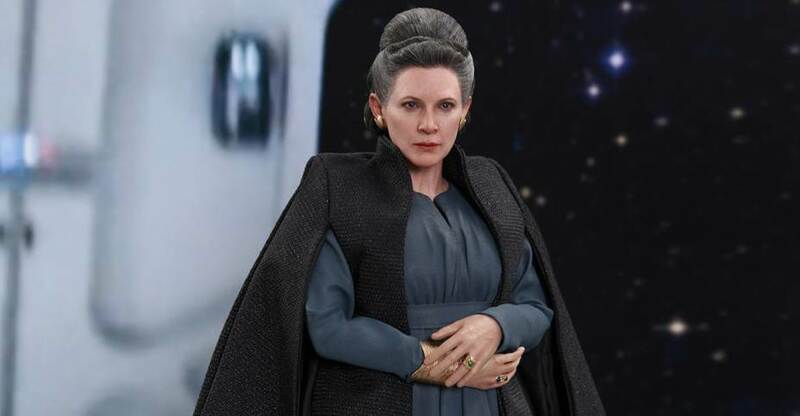 The figure will be released sometime between the end of 2018 and early 2019. 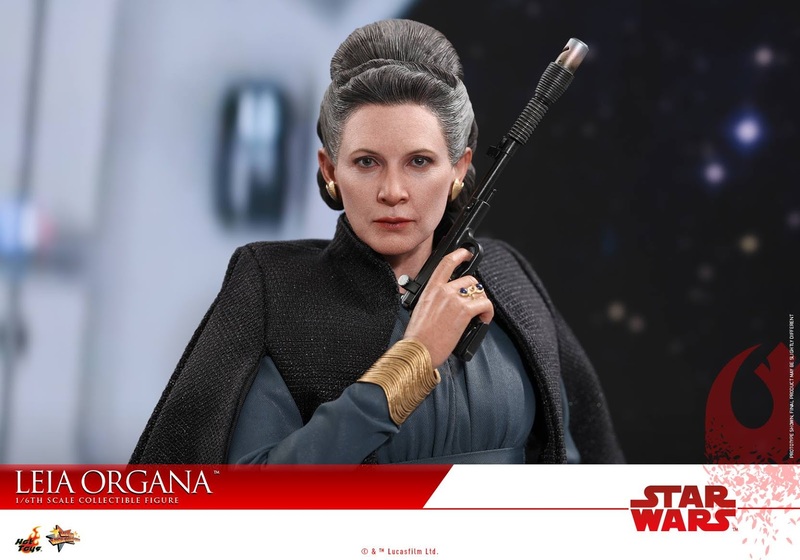 Check out the specification and images below. 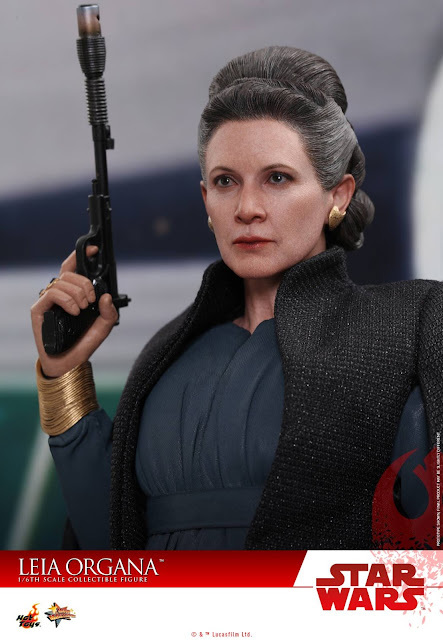 "Once again on the run from dark forces determined to crush freedom in the galaxy, the strong and committed Leia Organa who fans have grown to love is now leading the Resistance fleet on its quest to find a haven in the widely acclaimed Star Wars: The Last Jedi. 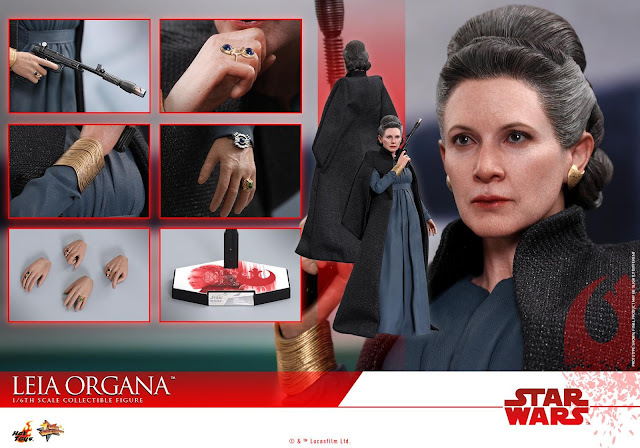 In memory of our beloved Princess, this collectible figure will undoubtedly be a revered addition to all Star Wars fans’ collection!"